Our excellent team consists of highly qualified professionals with years of experience in the orthodontic and related fields. We are proud of our team members’ training, expertise and continuing education, and the manner in which we work together to help you in every way we can. At Orthodontics of San Mateo our whole team is committed to providing you with the best care possible in a warm, caring environment. All of our team anticipates that your experiences here will be successful and every member of the team puts much emphasis on you and your needs to ensure that your encounters in our office are pleasant for you. When you are visiting our office, our attention to detail, our outstanding technical skills, our friendly, helpful attitude and our knowledge of orthodontics are all designed to make you feel comfortable and secure knowing you are being taken care of efficiently and effectively. Please always feel free to ask us questions and offer suggestions. Most of our team has experienced orthodontic treatment at Orthodontics of San Mateo, and thus, can offer first-hand opinions and details on the procedures they have experienced. 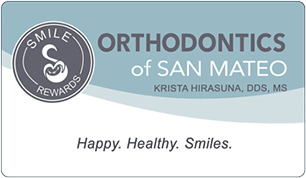 All of the Orthodontics of San Mateo team is pleased to be of assistance to you. Joyce is our Patient/Financial Coordinator and a Registered Dental Assistant (R.D.A). She has been in this office now Dr. Hirasuna and Dr. Landucci for over 30 years, since Dr. Landucci straightened her teeth. Her children and now her five grandchildren have all been orthodontic patients in this office. 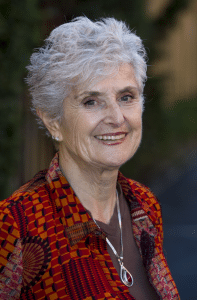 Joyce is a graduate of College of San Mateo and San Francisco State University with degrees in both business and education and has taught in local elementary schools. She loves helping our wonderful patients and their families and gets great satisfaction from the positive influence an attractive smile has in patients’ lives. Joyce has had braces as an adult and wears an invisible retainer and a biteplate. 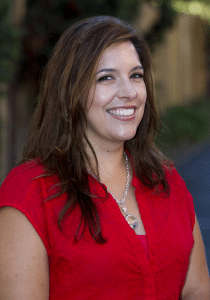 Elia has been with Orthodontics of San Mateo interned in 2003. 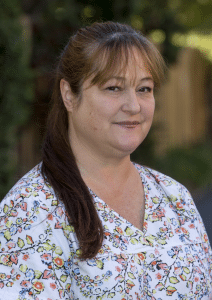 She is our Treatment Coordinator and loves working with people. Elia takes pleasure in assisting our new patients at their initial visit and helping them to achieve healthy, attractive smiles. She appreciates the outdoors and enjoys going on walks with her husband, kids and dog. Elia had her teeth straightened with aligners and now wears her retainers part time to hold her orthodontic correction. Elia is also a Registered Dental Assistant. Beth has worked in our office since she was a patient with braces while attending Hillsdale High School. After living in San Diego for a few years and working in other orthodontic offices, she returned to the Bay Area and to our office. She enjoys being part of a team that allows her to be available for her three children. Her two oldest children are both attending Arizona State University and her youngest daughter attends University California San Diego. Beth loves spending time with her family, pets and friends. Beth had two phases of care as a child and is currently wearing aligners. Beth’s children are also patients at Orthodontics of San Mateo; all three are in retention and wear retainers part time. Beth is also a Registered Dental Assistant. Elba is a lady with a beautiful heart who loves children and people — especially Dr. Hirasuna, Dr. Landucci, the orthodontic team and all the great patients. 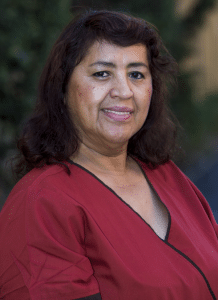 Elba first came to our office as a dental assistant intern from ROP. Previously she worked in a dental laboratory fabricating crowns and bridges and partial and full dentures. Now she is in charge of our in-office lab and assists in the operatory. As Elba is from El Salvador, she speaks Spanish as well as English. She likes to read, go to the gym and shop. She has two children and four delightful granddaughters. 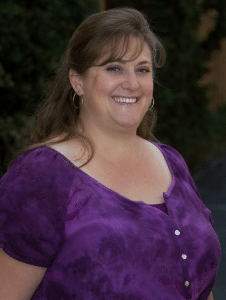 Misty has been an Orthodontics of San Mateo team member since 2007 and is dedicated to orthodontics and dentistry. She is native to San Mateo and attended local schools (Sunnybrae Elementary, Borel Middle School & Aragon High School.) 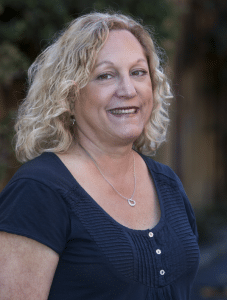 As a Registered Dental Assistant with over twenty years experience in orthodontics, Misty is ever so happy working with kids and adults at Orthodontics of San Mateo. 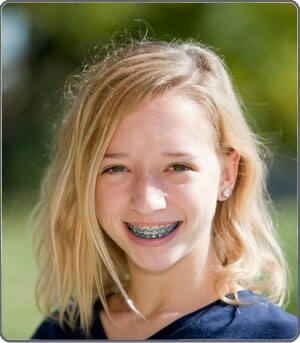 She is a great team player and says she loves the whole orthodontic team and being with them. She is a proud mother of three children, a beautiful granddaughter & a handsome grandson. Sharon is our Patient Account Coordinator. She graduated from the College of San Mateo as a Registered Dental Assistant and then worked in a pediatric office for ten years where she thoroughly enjoyed working with children. Sharon was a patient of Dr. Landucci’s, as were her three children. Her two older children had orthodontic treatment with traditional braces and her youngest had his teeth straightened with aligners. Sharon has been with Orthodontics of San Mateo for over eight years and is delighted to be part of our orthodontic team. In her spare time, Sharon is excited to spend time with her adorable new grandson.